This week the contractor is working on Auburn Avenue, Phillips Avenue, and Burton Avenue. 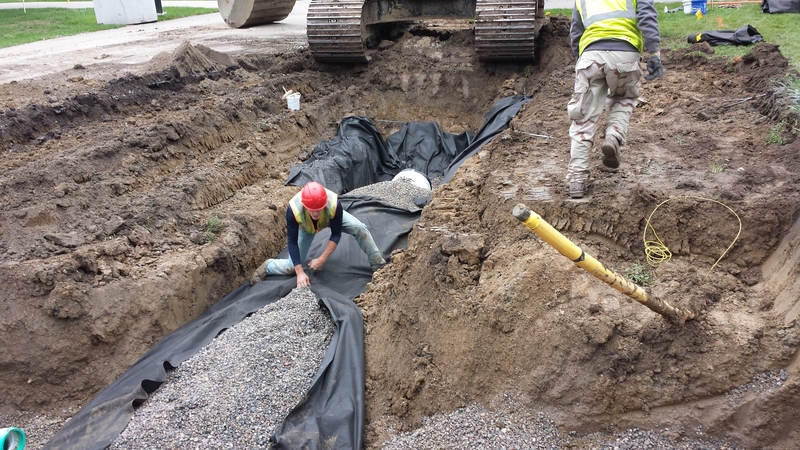 One pipe crew continues to install storm sewer on Phillips Avenue, while the second pipe crew is on Burton Avenue installing storm sewer. The concrete crew is also scheduled to return to the site in the middle of the week to finish the sidewalk on the east side of Auburn and pour any concrete approaches in this area. The restoration crew is continuing behind the pipe crew on Auburn shaping infiltration swales and placing the topsoil. 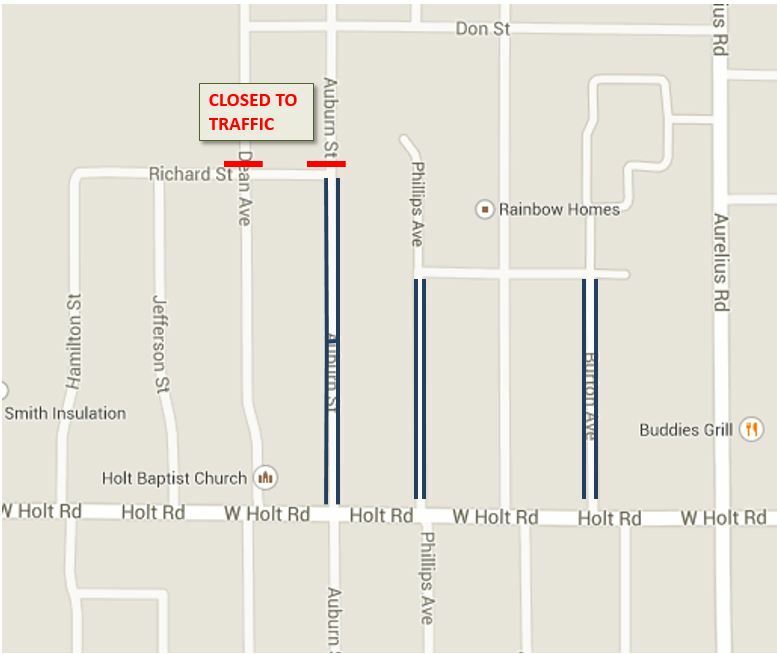 Both Dean and Auburn will remain closed to thru traffic from Richard Street to Holt Road as the contractor wraps up the restoration work in this area. We appreciate the public’s patience as you avoid this construction zone.